As was the case historically, it is not uncommon for prisons where scholars are jailed to become hubs for intense Islamic studies (another example being Shaykh Abu Iyas), resulting in countless books and amazing tales of reformation, among other benefits. The excerpts below from the memoirs of brother Salim al-Amr give a glimpse of this environment and how it eventuated in this particular jail. He provides a rare insight into the mannerisms and character of Shaykh Ata Abu al-Rashtah, may Allah protect him. The story starts in the Sawaqa Desert Prison in Jordan. Upon imprisonment I did not know about Hizb ut-Tahrir except that which made me hate and ridicule the Hizb. May Allah forgive the one who was the cause for this! One morning news came to the prison that a prisoner by the name of Ata Abu al-Rashtah [Abu Yasin] will be transferred from Juwaideh Prison to the Sawaqa Desert Prison. It did not matter to me as much as it mattered to the Shabab (members) of Hizb ut-Tahrir, who were in the room opposite to ours. I witnessed their cheerful faces when they heard of his coming. I found out from them that he was the official spokesman of Hizb ut-Tahrir. But who from us knew of him? “How come you don’t know who this man is; he is one of the very few who wrote about Islamic economics!” exclaimed my friend (Ahmad al-Sa’oub). Of course if anyone would know him it would be Ahmad! He would so avidly read the newspapers that we used to say “we buy the newspaper for twenty cents and he reads it for one dinar!” – even the small ads would not miss his attention. At that time I was in a room with the ‘Afghan Jordanians’. Their case was a complicated one in which many had been unjustly imprisoned, many of whom were there by no fault of their own. We were named “the case of Wadi Mujib”. Our case was, in short, an attempted operation against Jewish tourists who were coming to Jordan, conducted on the first anniversary of the Ibrahimi Mosque massacre of 24/02/1995; but the operation did not succeed, and I was sentenced to death, later reduced to life imprisonment with hard labour. My mentality at the time was closer to the Salafi jihadi one; hence there was a major difference in opinion between me and Hizb ut-Tahrir. I admit that I was intellectually immature at the time. I did not care about fikr (thought) or know what it meant. We did not know the terminology that we heard from the shabab of Hizb ut-Tahrir and did not care to know it, to the extent that we used to make fun of the word fikr when we saw Abu Yasin and his followers move between rooms. One of our friends used to say sarcastically, “Indeed, he is your leader who has taught you fikr.” (a play on words of the Quranic verse, “Indeed, he is your leader who has taught you sihr (magic)” [20:71]) and we used to naively laugh! While we were busy with our internal problems and searching for news of general amnesty that we heard from time to time, hoping to get out of jail, the shabab of Hizb ut-Tahrir were busy absorbing from the knowledge of Abu Yasin. They were “writing a book each week”, as described by the writer Abdullah Abu Rumman when he was imprisoned for an issue concerning bread. Their reality was also described by Professor Hamza al-Aneed, at the time of his family’s visit to him in the prison. He used to say that “we have with us Abu Yasin, who gives us between every two duroos (lessons) a dars (lesson)! Therefore, news of the general amnesty did not concern them. They believed that the prison was qadaa‘ from Allah, and there were rarely any internal issues worthy of mention among them. Shaykh Ata used to busy them with research, writing, and teaching them Arabic and usul ul-fiqh (principles of jurisprudence). When we would go for our regular sport/activity sessions, many of them used to go to the prison’s library to live in the shadows of tafasir (Quranic exegesis) and borrow books to research and complete learning tasks that the Shaykh had assigned to them. Sometimes we were exposed to conflicts, as a result of side fights with the prison administration which we were in no need of. This was usually because of the Salafi Jihadi brothers’ (the state called their case the case of ‘allegiance to the imam’) view towards the police. Their describing them as tawagheet, and what resulted from that of ahkam, resulted in a hostility which made us live in a state of ongoing conflict within the prison. To control the conflict, the prison administration sought to repress us by throwing tear gas. They decided to divide us into small rooms, scattered over two floors, and were thus able to alleviate a lot of the conflict with this step. To read more on that situation, refer to the article “Leaders in the Prison” (wa fi al-sujoon ‘umara’) written by Abdullah Abu Rumman when he was released from prison. I was the leader in my room, serving a group of prisoners from the Afghan Jordanians, some from Hizb ut-Tahrir (among them Tariq al-Ahmar, as well as the engineer Laith Shubeilat) and others from various movements. Abu Musab al-Zarqawi was also the leader of a group. Walid Hijazi was the leader of the shabab of Hizb ut-Tahrir in their cell which included Abu Yasin, because the latter refused to be the leader. He used to seek to make leaders of the Shabab instead, guiding them where needed. During Jumu’ah prayers, we used to pray in the rooms. Before being divided into rooms we would hear the Khutbah (Friday prayer speech) at times from Shaykh Ata and other times from another prominent person in jail, Shaikh Abu Muhammad al-Maqdisi. The sermon of Shaykh Ata used to be remarkable to the point that it had affected some of the Salafis. This made their leaders concerned and they manufactured some problems in order to create a rift between them and the Shabab of the Hizb. Shaykh Ata used to give a regular lesson in our room on usul ul-fiqh and it used to be attended by some of the shabab in the room. Another regular lesson was given by Brother Shabeita, also from Hizb ut-Tahrir, on Arabic, but we did not pay great attention to these lessons, unfortunately. “Make ties with those who cut them off from you and forgive those who treat you badly”. He used to ignore abuse against him by brothers from other movements and not respond except with kindness. I saw Shaykh Ata laugh at this statement, coming from my friend Eid al-Jahaleen (from the ‘Afghan Jordanians’ case), who had lost both his feet in advancing to blow up a cinema – may Allah give him health. After two years in prison, the picture began to become clear to me little by little. I began to see things objectively. I noted that our internal problems were increasing for trivial reasons, which led me to waste time. Because of this I wrote a request to the prison administration to send me to the second floor; the room where the shabab of Hizb ut-Tahrir were. The application was approved but then repealed only a few hours later! So I remained there only a night, then returned to where I came from. From time to time, we would bid farewell to the released shabab, and it was custom to celebrate when they were released. I organised with the guard on the night of the release of some of them to sleep in their room, in order to provide some anasheed to celebrate the occasion. Then the day came that Allahﷻ honoured me by joining me with the Ameer of Hizb ut-Tahrir and his shabab in one cell, when we were transferred to the prison of Salt (in north-west Jordan) which was divided into cells on which “the Sun would not shine”, as it was said. The cell contained a concrete two-story bed and each cell had four stories, that is, eight prisoners to a room. Salt prison compared to Sawaqa Prison was harsher. The atmosphere changed, our conditions were more constricted, humidity problems multiplied, and the problems increased; but I do not exaggerate in saying that I gained the most because of this transfer, even though they took me twice the distance away from my family, as I am from the city of Karak. By the grace of Allah ﷻ, this move turned the adversity of prison into a blessing. Every prison has a different atmosphere. Despite the lack of services and the small cells in Salt prison, we started to become familiar with the place. Imprisonment is not about walls. A man can turn the adversity of the prison into a blessing, through sheer willpower, despite all the obstacles. At the time Abu Yasin was bidding farewell to most of the shabab of Hizb ut-Tahrir in prison. No one remained from them but a few, and even they were soon to be released as their sentences ended. I remember from them Walid Hejazi, Suhaib Ja’ara, and Abdul al-Rahim Abu ‘Alba. Within weeks they were outside the prison walls, breathing the air of freedom. No one from the shabab was left in the room except Abu Yasin. How painful and sad to leave a man in isolation, without a companion in the room. Here I decided to transfer to his room, especially since it had now become easier. There were many reasons for this decision of mine, among them the mental peace in the room of Abu Yasin and to be of service to a man who was now moving on in years with white hair appearing on him. He deserved to be served – it is from the reverence of Allah ﷻ to honour an elder Muslim and a companion of the Quran. He had a unique forbearance, a vastness of heart. One day I saw him suffer much abuse at the hand of one of the other prisoners, but he was above responding in any way with the like. Rather, he overlooked and forgave. Having moved to his cell, I began to watch the man closely; how he ate, how he drank, how he performed ablution, how he worshiped, and how he dealt with people. I saw Islam manifest in reality in that cell. It was a blessing from Allah ﷻ that He gives to whom He wills. Due to me being from the well-known ‘Amr clan of the city of al-Karak, some of the officers from the south used to be affectionately close with me; we used to go to the yard for a break in the back of the prison and sometimes the guards would go out with us. I realised then that the reality is not as it seems. Some of the officers used to come stealthily to the cell to sit with Shaykh Ata, when they were sure of the absence of the Preventive Security Service. I then realised that achieving the nussrah (material support) was possible, and that many of Firawn’s family conceal their iman. “All you have to do is bring with you a copy of the Quran, a notebook, and a pen, and leave the rest to me. You will learn it, inshaa Allah“, he replied. I challenged him that he would be wasting his time in the wrong place. However, he insisted to teach me the Arabic language. I accepted – why not, it is the language of the Qur’an and the key to understanding it. I convinced some of the other inmates to study Arabic, and we started on the method of the old Qur’an schools (kata’ib). We started to distinguish between the noun, the verb, and the particle, and that the sentence is beneficial expression, which benefits complete meaning. Most of the examples he used were from the Qur’an, likewise the assignments he would give us. At the end, after several weeks we had a test which I never dreamed of ever being able to complete in the past – to do complete i’rab (grammatical analysis) of Surat al-Anfal, and I was able to do it… may Allah reward him the best reward for that! There was not much time left. In but a few weeks Shaykh Ata would have had finished his sentence and would be released. His sentence was three and a half years, and at the same time as the joy I felt for him finally being among his family, his beloved ones, and his party that was waiting impatiently for him, I was also sad to part with him. He was like a father, brother, and a friend. It was at this time that, in an impulsive act, some of the shabab decided to attempt to remove the previous ameer of Hizb ut-Tahrir, Shaykh Abdul-Qadeem Zallum. This news devastated Shaykh Ata, and he found solace in the depths of night with Allah ﷻ. Many more visits came bearing sad news of this, he remained strong in our presence and did not reveal his suffering before us. At the time I was not part of Hizb ut-Tahrir. I gave the matter much thought and made istikharah about joining the party. After that I spoke with the Shaykh and I asked him to allow me to join. A radiance appeared on his face and his smile returned to him anew. He was keen to finish my basic studying in the party before he was released, even though only a week remained. However, I refused it due to the difficulty of the curriculum and the lack of books. So he started teaching me some of the broad principles and ideas and some administrative matters. This was in 1998, a time I consider myself to have been re-born on account of the honour of joining Hizb ut-Tahrir. My gratitude for this, after Allah ﷻ, is to Shaykh Ata, may Allah preserve him. Shaykh Ata used to admire very much the personality of Sultan Muhammad al-Fatih, the liberator of Istanbul, may Allah be pleased with him. I recall that once he drew on a piece of paper, within two minutes, the map of the world and showed me where the commander Muhammad al-Fatih reached with his conquests. When I used to seek his permission to leave a sitting to go to sleep, he would say to me, “May it be a good sleep,” and he would often say, “To a bright and honourable tomorrow by the leave of Allah”, before he went to bed, in bidding us farewell for the day, with a certainty filled with hope of honour, victory and empowerment. Shaykh Ata was a poet. He would sometimes write a few verses for those who were blessed by Allah to leave the prison. He had a diwan (collection of poems) of his poetry, however it was confiscated from him. On the night of his release, he wrote some lines bidding farewell to those from other groups who came to congratulate him on his release. The reality of the matter is that had I been good to him my entire life, I would not repay even part of what he done for me. He had no idea that I used to enjoy serving him, and Allah is my witness. Shaykh Ata was released from the Salt prison leaving behind a profound void. It was painful for us for months, until we were transferred to the Jafr Desert Prison in South Jordan. The situation was beginning to reach a boiling point in Salt prison as a result of the so-called assassination of Khaled Meshaal, and the swift release of the Zionist Mossad agent who carried out this operation without being brought to trial. As the Jordanian saying goes: “the Jews are our most precious possession”. As a result of this turmoil in the prison, many political prisoners, particularly those with long sentences, began to seriously contemplate escaping from prison – especially since some of Firawn’s clan who concealed their faith were willing to facilitate their escape, believing in the justice of our cause. Suspecting something was amiss, the prison administration decided to transfer us to Jafr Desert in the far south of Jordan. Indeed, in the darkness of the night, covers over our eyes, and under heavy guard we were transferred to Jafr Prison, and this was at the end of 1998. Jafr Prison was one of the oldest prisons, hardly fit to live in, but Allah made it easy on our hearts, giving us tranquility and serenity. When the prison administration noticed that we were at home with the place, they added to our room more than 15 prisoners arrested in cases of drugs, violence and like criminal cases. The prison administration thought that we would start fighting with them, but instead we took them in as brothers, treated them well and started influencing them. There was no one from the party’s shabab in prison at the time except me and being there alone amongst members of groups who adopted armed struggle, was a test. We made good relations with the prison guards and found out from them that new prisoners would be transferred to Jafr the following day. I looked at the list of names present with one of the guards, only to find that Ata bin Khalil Abu al-Rashtah was on it. I did not know that Shaykh Ata had been arrested once again; particularly given that he was only out of prison for around four months or less. My heart was filled with joy, as if I read about my own release – perhaps, as the Arabs say, “in this (apparent) bad there is some good”. We were to meet Shaykh Ata the following night – the best prisoner and best guest (for me)! In all honesty, everyone was pleased with his arrival. He is a person who commands respect and it is rightly deserved. That day I started preparing for study whilst inside the prison; my father and mother – may Allah shower them with His mercy – brought all the necessary books. They were amused at how I was thinking about studying, when I was sentenced to life imprisonment. I paid the costs and began to study. Fortunately, Shaykh Ata came to raise my spirit. He taught me some subjects with the best techniques! He would simplify the content in unexpected time. What normally required months, he would get through in less than a month – may Allah ﷻ reward him abundantly. I was not convinced in the people of nussrah much, and I discussed this matter with him, so he gave me a practical lesson in this matter. In one of the following dayshe called me and said, “Read.” It was a new leaflet from the party! But who gave it to him? I realised that there was goodness in the people of nussrah, and that it was possible. After a few months, news about the general amnesty was everywhere in the prison after the death of King Hussein, and it was only a few days thereafter that we were outside the prison walls – glory be to Him in whose Hands are the keys for everything. I saw Shaykh Ata happy in those days and wondered why. He said the party had returned stronger than it was before the event of the defection, which many thought would be the end of the Hizb. He added that he had also managed to see his son Yasin wed during his few months of release. Yasin had refused to marry while his father was in prison. A few days later we were both out of prison, by the grace of Allah. I went to visit Shaykh Ata at his home in the city Rusaifa and what a beautiful meeting it was! I arrived late in the evening, and I thought – with my Karaki mentality – that I was looking forward to a great dinner feast! After hours of a warm welcome, he asked his children to bring dinner, and to my surprise it was but olive oil, thyme, eggs, and potatoes, but I swear by Allah that I have never seen a better dinner in my life, notwithstanding its simplicity. Had he anything better he would definitely have served it. He taught me from this that goodness is from those present, not from the material luxuries. He displayed no pretence to demonstrate anything more than what he was or had, and by doing so, gave me a practical lesson that I should be who I am and that honouring the guest is in the good meeting and welcome before all, as the saying goes, “Meet me, don’t feed me”. I spent that night with Shaykh Ata and it was the most beautiful night. He bid me farewell in the morning, after we prayed Fajr in the masjid, where he had led the people in the prayer as imam. I used to ask Shaykh Ata about the cause of the shiver which afflicted his side when he used to lead us in prayer. I found out that it was the result of the torture he endured in the prisons of the intelligence agencies in Jordan, Libya and Iraq – including electric shock and other forms of torture. I recall him telling me that the shabab would be tortured in those prisons to the point that they would be tied to gas cylinders so that they would move in circles around themselves at times of extreme cold in the torture chambers whilst whips would hit them from all sides. I have not seen Shaykh Ata since then, the year 1999, until this day. I ask Allah Almighty to bless us with the Khilafah after he has blessed us with this noble scholar, the Ameer of Hizb ut-Tahrir, and to liberate Jerusalem and conquer Rome at his hands. Indeed, the matter is in the hands of Allah and He is Able to fulfil it. Here I will suffice with the mention of some testimonies about the shabab of the Hizb generally and about Shaykh Ata in particular that I heard from brothers (who were not from the Hizb), both from inside and outside prison. Praise be to Allah who made for me in Hizb ut-Tahrir a clear criterion between truth and falsehood, O Salim. 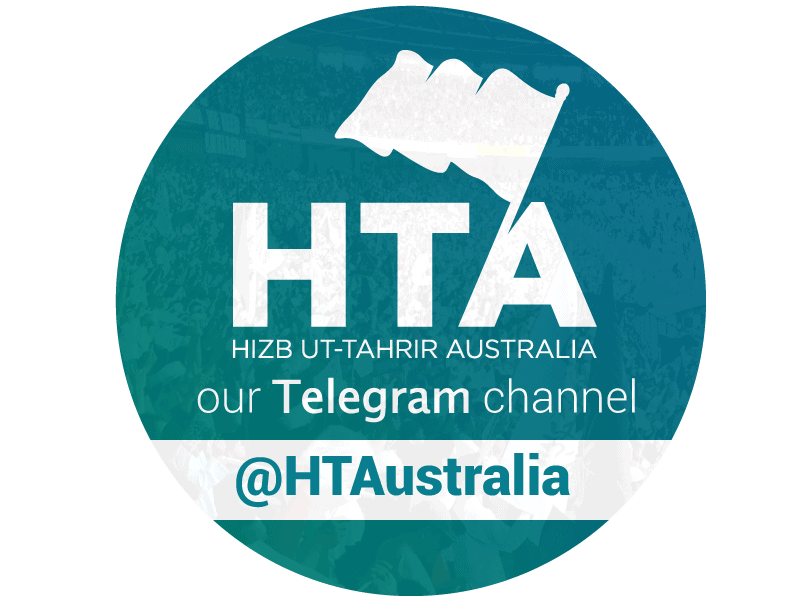 I bear witness that Hizb ut-Tahrir is on the Haqq. May Allah have mercy on Shaykh Ahmad al-Farkh, the noble scholar. All who knew him from the people of al-Karak attested to his character and knowledge. The shabab remained in contact with him until he decided to join the Hizb a mere three days before he passed away! In cell no. 12 and the two opposing rooms sat the shabab of Hizb ut-Tahrir. They were about ten prisoners. I went to them as a guest given the similarity of the cases for which we were accused, namely, ‘lengthening the tongue’ (i.e. speaking out against the regime). When I reached them, the leader of the cell, Walid, welcomed me. Walid was a man in his late thirties. He had a long beard and strong, sharp voice. His smile would almost never depart his face. The top half of his torso inclined to the right slightly when he walked such that it seemed he was strutting or doing a dance of some sort. Shaykh Ata, the leader of Hizb ut-Tahrir in Jordan, was one of these ten prisoners. He was a revered and dignified man in his fifties, grey of head, of little words, amiable, blue eyed, with a white beard of moderate length etching his face. He attracted the overwhelming reverence of the other prisoners of his party, who would rush to serve him, to fulfill his tasks, and to attentively listen to every whisper emanating from him. And why not, given he was the leader of Hizb ut-Tahrir not only of these ten but of every member of the Hizb in all of Jordan and perhaps even Palestine, and he may – one day – become its leader at the global level. Walid prepared for me a distinguished bed. Hizb ut-Tahrir had great appreciation for those imprisoned on the like of my case (speaking the haqq), and they had heard about this stance and my poems. Thus Walid, as the leader of the cell, made my bed distinguished by putting for me a new, clean mattress and plenty of covers. It was also distinguished in its position, being right next to the bed of Shaykh Ata. Shaykh Ata was a man in whom the ideas of Hizb ut-Tahrir saw practical and real manifestation. The main and central idea for which the Hizb works is the Khilafah. They link everything they do and strive for and everything they suffer for in the path of realizing this objective, namely, the establishment of the Islamic Khilafah on Earth. As to how, where, when, by what means, in what time period…every member of the Hizb had answers to these questions. The Shaykh spent a long time on the particle ‘waw‘ (and) in “wa al-rasikhuna fi al-‘ilm” (“and those well-grounded in knowledge”) on the question of whether it was a ‘waw‘ of conjunction (‘atf) or a ‘waw‘ of resumption (isti’naf). This issue has been discussed at length by the classical exegetes and linguists. The Shaykh first presented, at length, the various views on the issue, and then explained his position which went counter to the majority position. The position of the overwhelming majority of exegetes is that the ‘waw‘ here is a ‘waw‘ of resumption but he held that it was a ‘waw‘ of conjunction. The students in the lessons from Hizb ut-Tahrir would hold copies of the Qur’an and writing folders and would write behind the Shaykh that which Allah opened for him of knowledge. I saw myself, and in the handwriting of the Shaykh, three folders full of the tafsir of surat al-Baqarah. These folders would move between the students of the shabab as if they were priceless treasures. They sought to protect them from damage or loss. One of them would hold it close to his chest while reading it. In conveying a trust, I should mention that I saw the Shaykh in these lessons diligent and bold in his interpretation of the ayat and what they contained of legal rulings, and the folders containing his tafsir had a mysterious glow. The students would transfer them among themselves as a jeweler moves gems and pearls. The Shaykh had begun writing a tafsir of the Qur’an in the prison, till that point resulting in the compilation of these three folders of material. At that time he continued in this pursuit. I do not know today whether he completed the tafsir of the Qur’an or whether his occupation in leading Hizb ut-Tahrir prevented him from doing so. The Shaykh would give everyone in the lesson work to complete for the next lesson. For instance, he would say to them, “Find different relations of the metaphor from surat Ali-Imran”, or “Extract the various types of (grammatical) abrogaters from surat al-Furqan and ascertain their predicates and forms.” His lessons would receive a great response and interaction from the individuals of his party, among whom were the old and young, the educated and uneducated, the doctor and teacher. Cooperation, obedience of the leader and the like were apparent traits of this group of prisoners which I witnessed from living among them. And they were bold in expressing their views. I recall one of them becoming sharp in a discussion with one of the military officers, letting loose his tongue against the governing regime of the country. The officer swiftly lodged an official complaint against him as a result of which he was tried in a court of the state security force and sentenced to six months jail, adding to the two years he was previously sentenced to. Thus he was sentenced to prison whilst being imprisoned! Hizb ut-Tahrir believed – and continues to do so – that gradual change is a waste of effort and that one must begin from the peak of the pyramid, not its base, that one must severe the head of the serpent from its body to terminate its harm once and for all. As for the means to do this, it was possible to seek the support of those who can be trusted of the military officers to undertake, for instance, a military coup. While they did not believe in using material force to overthrow the regimes, they did justify seeking help from others to make these changes which necessarily required material force. Shaykh ‘Ata was modest without being degrading of his self, humble without being self-effacing. He was wont, for health reasons perhaps, to keep some cucumbers under his bed. Often I saw him extend his hand, grab two or three pieces, wipe them with his hand, and then extend one towards me inviting me to partake in his banquet of cucumbers. A testimony sent to me by Brother Muhammad Ali Abd al-Hamid (Abu Bakr) from the shabab of the Hizb, Amman. Perfect is your Lord, the Lord of honour, above what they attribute him with, and select peace be upon the messengers, and all praise is for Allah. This concludes the excerpt from brother Salim al ‘Amr’s memoirs. May Allah reward Salim and Shaykh ‘Ata for the dedication and sacrifice they exhibited, for in them are examples for any carrier of the Islamic da’wah.